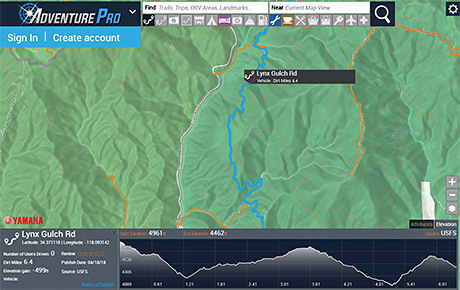 Adventure Pro is an advanced adventure tool that allows Yamaha owners to explore further with even more capability and confidence, as well as share their experiences with friends and family. Easily plan off-road adventures using Yamaha/Magellan’s trail and track database and trip planning tools on the Yamaha Adventure Pro Website. 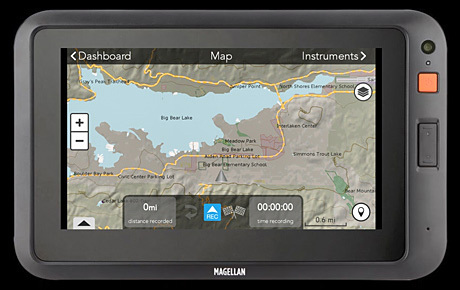 Yamaha/Magellan's database includes observations on route difficulty, conditions and obstacles encountered, and more.